Ultra-Grain is a unique paint finish, available in Medium and Dark Oak and Walnut wood-grains – available on 3-layer sandwich doors only. Windows are standard with double strength clear glass and optional snap-in grilles. 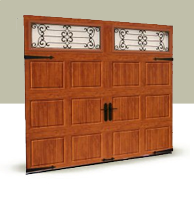 Other options include insulated glass (available on 2″ three-layer models), obscure with snap-in grilles and acrylic wrought iron designs. 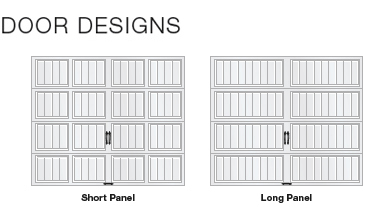 Constructed of durable steel embossed with a natural woodgrain texture, this vintage style line is available in long or short grooved panel designs with various window combinations and hardware for a one – of – a – kind look.